Her fans have been asking for it and now Laurell K. Hamilton is going to deliver. Laurell K. Hamilton, Dabel Brothers Productions, and Marvel are coming together to give readers a look into Anita Blakes past. 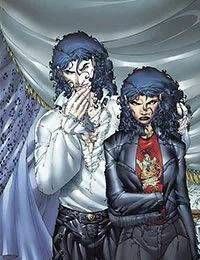 Written by Laurell K. Hamilton herself, along with Jonathon Green, this July will see the release of part one of a two issue limited series that takes place almost a year before the events currently being chronicled in Guilty Pleasures. You will get to see the first time Anita and Jean-Claude meet, Anitas first time inside Guilty Pleasures, her first serial killer case, and a very early encounter with Edward. Prepare to be thrilled by this original story produced especially for comics.